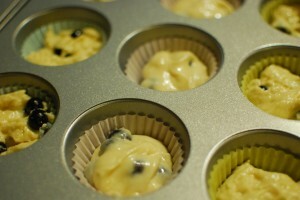 This experiment involved following a recipe for blueberry muffins. I decided to give the sweeteners a fair shot and decided to use a recipe for blueberry muffins that was on the back of the box. For this experiment, I made one batch of muffins with sugar, one batch with Splenda and one batch with Equal. I’m curious to see if sugar performs just as well (or perhaps even better) than Splenda even though I am using the recipe that is on the back of the Splenda box and is probrably specially developed with Splenda in mind. The batter made with sugar was more moist, sticky and similar to a cake batter compared to the batter that was made with Splenda or Equal. It was also a lot easier to mix in the blueberries into this batter since it was more moist and runny. Both of the batters made with Splenda or Equal were dryer and more doughy compared to sugar. Incorporating blueberries into this batter proved to be quite difficult. This is probably because the sweeteners don’t have the same hygroscopic properties that sugar has. So the batter made with sugar was both more moist and sticky and they also browned slightly more. The muffins made with sugar were more moist, sticky and tasted sweeter. They also browned more and looked more like a cupcake than a muffin. The muffins made with Splenda and Equal were more dry and the texture resembled more of a scone versus a muffin. The muffins made with Splenda were sweet but not as sweet as the ones made with sugar. 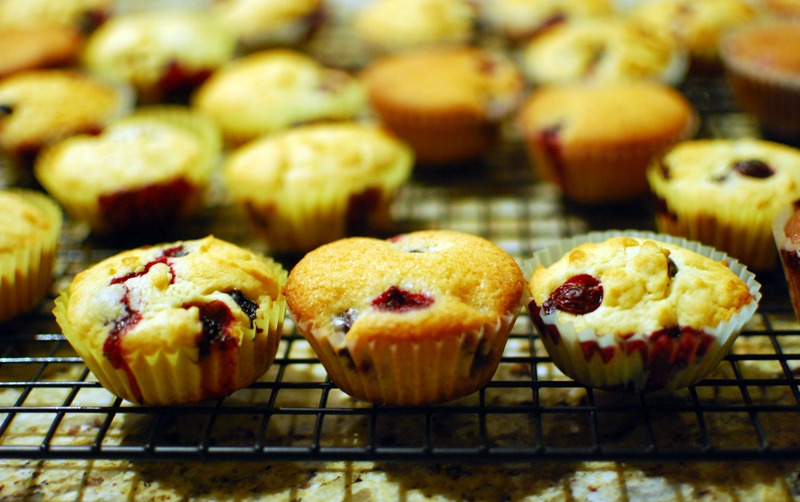 The muffins made with Equal were not very sweet and tasted quite bland as a result. This is consistent with the results from a previous taste test where Equal does not retain its sweetness when baked or exposed to heat and is therefore, not suitable for baking. « Sugar vs. 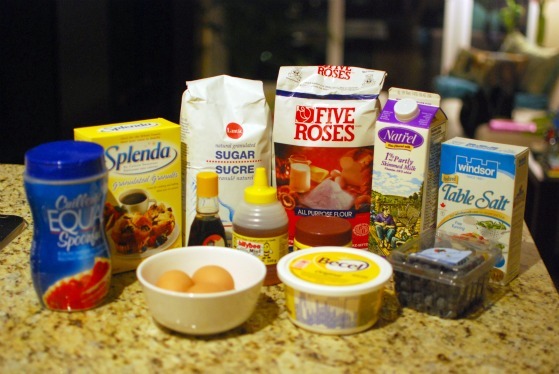 Sweetener – Blueberry muffins	» Custard: Powdered, canned or from scratch – Do they all taste the same?